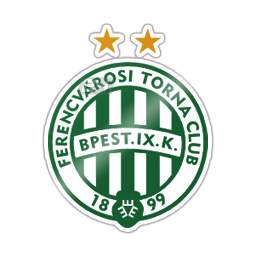 For many years now FTC have been taking a leading role in social responsibility activities in Hungary, and now the club establishes the Fradi Fair Play Committee and award. In the spirit of the club’s motto (Morality, Strength, Unity) FTC establish the Fradi Fair Play Committee. The aim of the committee is to raise attention to Fair Play and the values and traditions of “Fradism”, with special attention to promoting moral rules, respect and non-violent and doping-free sport. The committee takes aim to find and recognize those members of FTC who set an example for the community, with their work, lifestyle or acts. – At FTC we have been emphasizing the spirit of Fair Play for years now – said Gábor Kubatov, President of FTC. – Fair Play is one of the noblest components of sport. At Fradi our primary duty is to respect the opponents and the rules. Each year we organize lectures and presentations about fair play. With establishing the Fradi Fair Play Committee we want to take another step towards spreading the spirit of fair play. It is a great pleasure to have such partner as the Hungarian Olympic Committee’s Fair Play Committee, we are truly grateful for their cooperation. The committee comprises nine members who can award the Fradi Fair Play awards and plaques in two categories. The ‘Real Green-White Hero” category’s Fair Play Act award can be given to any green-white supporter, athlete, manager or employee of FTC. The “Serving Sport” plaque can be given to any current Fradi athlete, manager, coach, while the “Lifetime Achievement Award” to former Fradi athletes, managers or coaches. The “Fradi Heart” category with the “Noble Act” plaque includes any private person who contributes to any of the social activities of FTC with non-financial support. 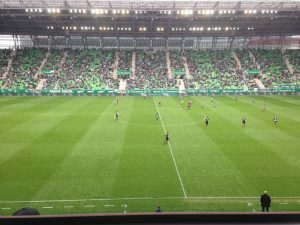 – I am glad that Fradi, being the first club in Hungary, decided to establish a Fair Play Committee – said Jenő dr. Kamuti, President of the International and Hungarian Fair Play Committee. – I am grateful for the club and its leaders. During the past years I have many times had the opportunity to meet FTC’s young athletes and present Fair Play to them. The club with great traditions has had many great athletes following the spirit of fair play, and I am sure this will continue in the future as well. The Fradi Fair Play Committee takes on a great responsibility with promoting Fair Play to the nearly 3000 athletes of the club. They are the future both on the pitch and in daily life. Today it is especially important that we have caring and helping people who respect each other. I wish dedication for the committee! I hope that other clubs will step into the footprints of the FTC soon. With this initiative FTC aim to emphasize its participation in the #MoreThanFootball campaign, where 77 clubs from 27 countries present and promote their social responsibility campaigns.The project supported by the EFDN (European Football for Development Network) and the UEFA Foundation was called to existence to present and promote the corporate social responsibility projects of European football clubs. Its aim is to reach as many people as possible during the campaign week with these noble activities and programs.